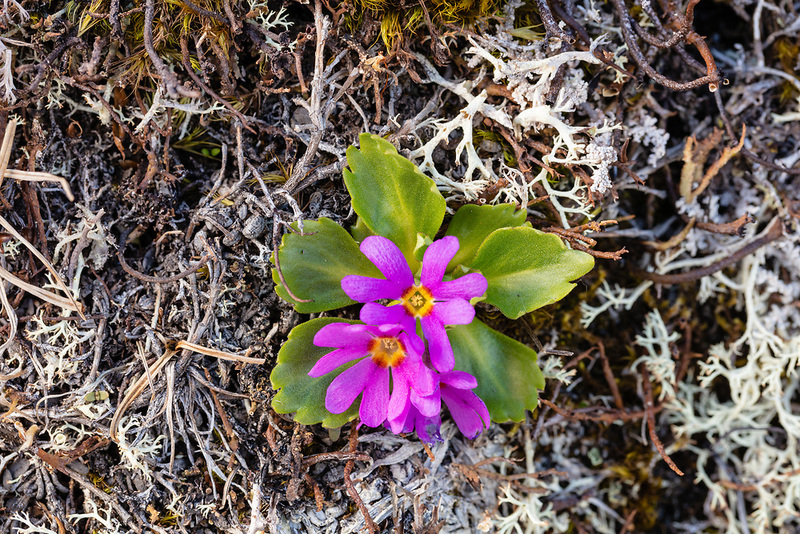 Closeup of Pixie Eye Primrose (Primula cuneifolia) at Thompson Pass In Southcentral Alaska. Summer. Afternoon.